If there is any producer who needs no introduction on these pages it's Wolfgang Voigt. Under his Gas moniker Voigt has not only produced some of the most important electronic music of the last quarter-century, but also influenced a generation of awestruck music makers. Without those seminal early recordings it's safe to say ambient electronic music would not look quite the same. Thankfully Kompakt (the label which Voigt heads up) re-issued those classic recordings a few weeks back to much-deserved critical acclaim, but for those of you who already possessed them in some form or another, this Raster Noton release was the one that had us chomping at the bit. Dating back to 1989 (! ), every single track on this record has never been released previously, but far from an odds-and-sods collection this is a perfect reminder of the peerlessness of Voigt in the ambient world. Countless copyists have come and gone, but hearing these tracks, the earliest of which is close to twenty years old, you remember why you fell in love with electronic music in the first place. The distant, reverberating strings, pulsating, crumbling rhythms and those drifting washes of synthesizer on 'Das Moor' are enough to shake any self-respecting muso out of complacency, but the fact that this is kept up for an entire disc, and that this material has never seen the light of day truly astounds me. 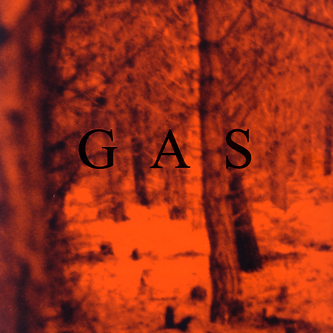 I doubt very much that there are any of you out there who have never heard Gas before, but if there are a couple of stragglers you should know this - if you have any interest in ambient music, electronic music, experimental music or whatever you choose to label it, you really owe it to yourself to get this album. From the catalogues of Type and Miasmah to the hallowed ground of Touch and Mego the influence of Wolfgang Voigt spans the whole scene and this release is there to be cherished. Immense.